The Circuit Project was a programme which gave aspiring theatre practitioners a chance to expand upon their skills and collaborate with others to create live performance. The aim of the project was to encourage individuals to test out their ideas and develop their existing talents. The Circuit Project gave 16 young theatre-makers the opportunity to investigate the potential of presenting new writing for performance in unconventional and non-theatre spaces and introduced them to the challenges and possibilities of Site-Responsive performance. The Circuit Project took place in 2009/2010 and involved 16 collaborators. 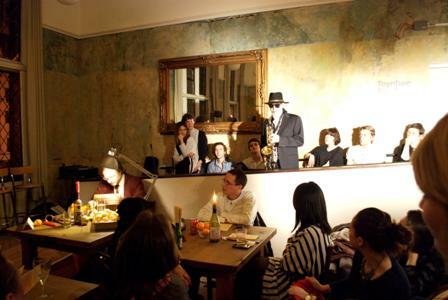 It resulted in CIRCUIT – two evenings of performance, music and socialising at the Arts Bar and Cafe, Toynbee Studios, London on 18/19 March 2010 and at BAC, London on 30 May 2010.